Is it possible to do a "SOQL for loops" for a collection? I want to know the number of Assets for each AccountID. At first time I created a set that contains the AccountID and I used the SOQL for Loops to query Asset Object. The code is ok but I would write a better version. Is it possible not to use the FOR LOOP to iterate on set and do a query in it? How can I do it in a bulk way? 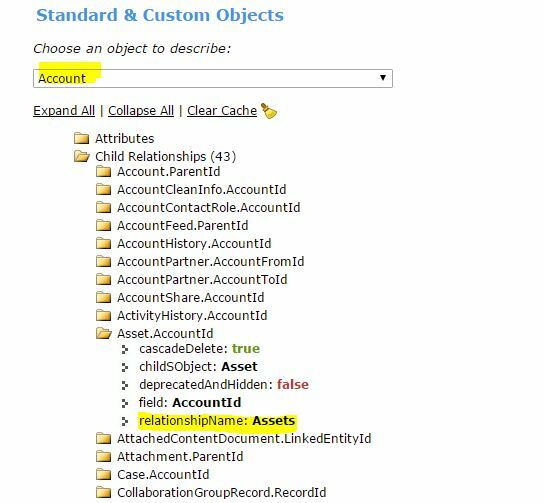 As Account and Assets are related, you can use a sub query to querty/count assets using its Relationship Name. Using a Workbench, identify the Relation Name for Asset object and then perform a query. In your code, you have written a SOQL inside a for loop. This will give SOQL Exception error if you have more than 100 account records. Not the answer you're looking for? Browse other questions tagged soql loop collection or ask your own question. SOQL - How to access property of the objects in the collection for use in condition?